When I first got into fashion, I had a lot of trouble distinguishing between different designers. I never understood how anyone could recognize a certain designer just by looking at their work. 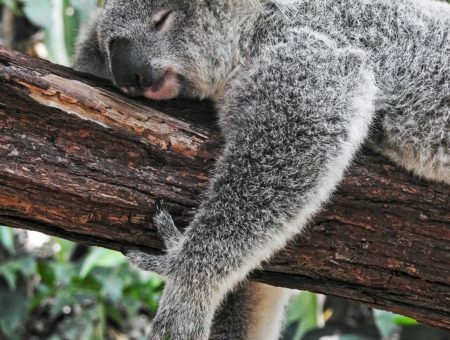 What I have learned over the years is that knowledge comes with experience… and reading. Each designer has their own aesthetic, and I’d like to introduce you to some of them in my new series, Designer Basics. 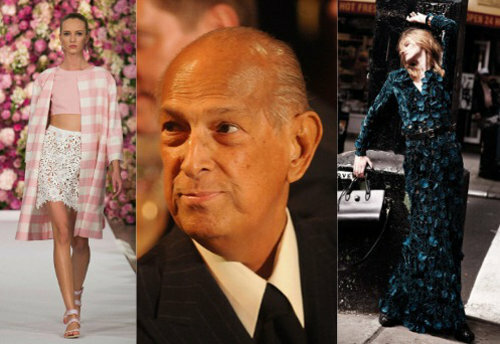 By popular demand, this week’s Designer Basics post will feature a true jewel of the fashion industry, Oscar de la Renta. Unlike the previouslyfeatureddesigners, de la Renta has had a much longer run in the industry. Sadly, he passed away last October, but his legacy lives on in the hearts of many. De la Renta was born in the Dominican Republic, and frequently drew from his heritage in his designs. From 1993 to 2002, he led Balmain. De la Renta launched his own ready-to-wear label in 1965. He was loved by many in the fashion industry, as well as the many stars whom he designed for. Feminine tailoring that flatters the female form; small waists, pencil skirts, etc. Bright colors borrowed from his Caribbean background. Combining simple and polished silhouettes with lively color. Glamorous details, such as embroidery, beading, ruffles, and fur. While designers like Alexander Wang and Marc Jacobs would be easy to wear to class (if only we could afford them! ), de la Renta’s designs embody an air of complete luxury and glamour, one you just couldn’t justify wearing to your 8 AM’s, even if you’re a fashion student. Sure, we can’t all have tea at the Plaza, but who’s to stop us from dressing up for brunch? 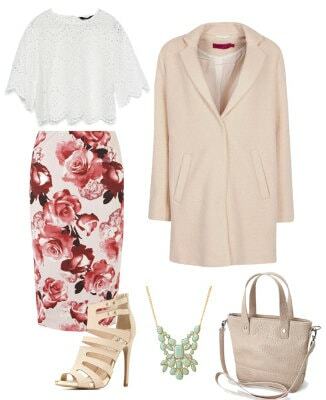 Start with a delicate embroidered top and a ladylike pencil skirt in a cheerful print, like this floral one. Like OdlR, you’ll have a feminine silhouette with a pop of bright color. Add on a classy coat for these chilly days, as well as strappy heels. Finish with a structured bag in a neutral tone and a chunky necklace to brighten the top. De la Renta would be proud! This look is all about the details. It combines several de la Renta staples: bright colors, embellishment, a cinched waist, and (faux) fur. Start with a cheery red dress with embellished details and embellished heels to match. Add definition at the waist with a belt, then throw on a ladylike tweed jacket. Complete the outfit with a small bag, as well as a faux fur circle scarf to keep warm on chilly nights. 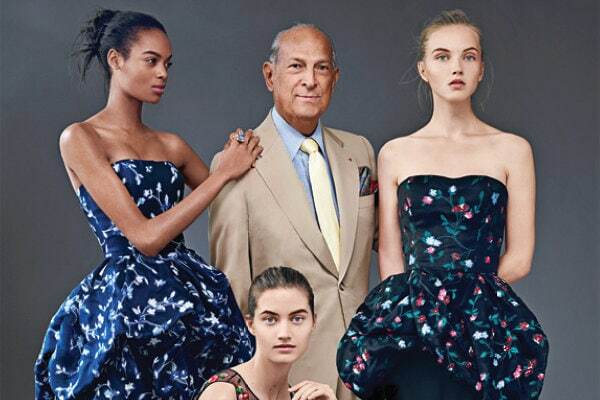 This moving piece from New York Magazine is a collection of tributes from de la Renta’s friends and fans. This article explores a few of the many designers who were inspired by de la Renta’s work. This piece looks to the future of de la Renta’s label now that he’s gone. Would you wear these looks? What do you think about Oscar de la Renta’s successor? Do you have a better understanding of de la Renta’s aesthetic? Who would you like to see next on Designer Basics? Let me know in the comments below!